Free Shipping Included! 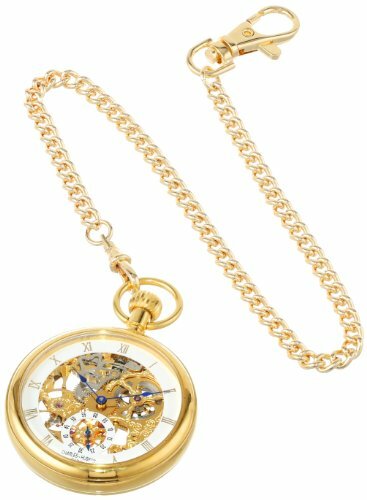 Charles-Hubert, Paris Gold-Plated Open Face Mechanical Pocket Watch by Charles-Hubert, Paris at Resha Laser. MPN: 3566. Hurry! Limited time offer. Offer valid only while supplies last. Open face case. Skeleton dial. Roman numerals. 17 jewel mechanical movement. Comes with deluxe gift box. 14k gold plated. 2 in. Open face case. Skeleton dial. Roman numerals. 17 jewel mechanical movement. Comes with deluxe gift box. 14k gold plated. 2 in. Dia.